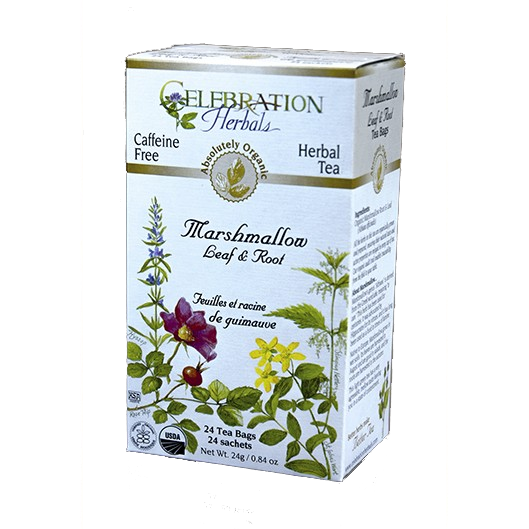 About Marshmallow... Marshmallow’s genus "Althaea" is derived from the Greek word atho, meaning "to cure." This herb has been used for centuries. It was advocated by Hippocrates for its virtues, and it has long been used as a food in times of famine. Native to Europe, Marshmallow grows in wet soils. Its leaves are harvested in August and are good in salads, and the roots are harvested in the autumn. This light green tea has a very agreeable, mellow taste leaving you in a state of contentment.